يقع في لوتوكا, First Landing Beach Resort and Villas إنه المكان الأنسب لاكتشاف لاتوكا و ما يحيطها. يجذب هذا الفندق ذو 3 نجوم، والذي يبعد 18km فقط عن وسط المدينة و 17 Km عن المطار، الكثير من الزوار سنوياً. يوفر الفندق بفضل موقعة الجيد وصولاً سهلاً إلى أهم معالم المدينة.
. يقدم First Landing Beach Resort and Villas خدمات لا غبار عليها وكل أشكال اللياقة وحسن الضيافة اللازمة لإسعاد ضيوفه. يقدم هذا الفندق العديد من الخدمات الكفيلة بإرضاء أكثر الضيوف تطلباً. ادخل إلى واحدة من الغرف 36 وتخلص من عناء نهار طويل بمساعدة مجموعة كبيرة من الخدمات كمثل تلفزيون بشاشة مسطحة, حمام إضافي, مرحاض إضافي, قهوة فورية مجانية, مشروب ترحيبي الموجودة في بعض الغرف. يمكنك طلب اللائحة الكاملة للخدمات في الفندق ومن بينها قوارب, كنو, مسارات المشي, تأجير معدات الرياضات المائية, الغوص السطحي. إن كنت تتطلع إلى إقامة مريحة وهادئة في لاتوكا، فستجد في First Landing Beach Resort and Villas بيتك الثاني. We had booked for a 1 bed room garden view villa through agoda but on arrival were allocated a garden view bure so had to get it changed. Had to wait for about an hour for them to change and accommodate us. The hot water in my room did not work at the very beginning but the staff had it fixed relatively quick. Room internet is not free and only the pastry section of breakfast is complimentary. Nevertheless, it is an amazing place to stay at. Lots of events to attend organized by the hotel. The staff are amazing, always lively. When you book a particular type of room with Agoda, that's what you expect to get when you arrive! This time around, the room was a dingy dog box, with not even a tv! We booked a villa with a private pool, and got a claustrophobic 2nd class room and had to pay an extra $400 to get a room that was not even close to the one we booked online. TOTALLY DISAPPOINTED!!! Beautiful accommodation, super friendly staff, good food at affordable prices. We had a 2 bedroom beach villa. The resort is clean and in good order. We always felt safe. First Landing is close to nadi if you want to do a bit off shopping. Always able to get a taxi at the resort regardless of the time. The only downfall like any where you don’t know how noisy your next door neighbors will be. But overall a fantastic place for a holiday and I will return. This resort is right by the ocean, and my beachfront buree had an excellent view. While it is not s flashy new resort, it has character. There are lovely gardens, my room was clean, the bed was comfortable and the shower pressure good. I found the staff to be friendly, patient and helpful with sorting out the pick up details for the activities I had booked. All round I enjoyed my stay. This is an awesome and central place to holiday. Not a real beachy place with great swimming. However, quieter, amazing entertainment and food, relaxing and wonderful staff. Very safe for kids to hang out; Marianna at the kids club is lovely. We could swim in our own pool or in the sea or take a kayak out. The villa is fab. The staff are very kind and friendly. However there were problems in efficency. A taxi booked for 5am did not come (but one was called easily by the security guard) and no one was there to help us go out snorkelling in clearer waters. I would certainly go to this resort on another occasion. We loved our stay at First Landing Resort! The people and staff are so lovely and friendly and the atmosphere is one you cannot beat! There was something free to watch or do on every night and we loved the Fijian dancers as we were eating our dinner. The only downside is that you can’t really swim out the front but with the day trips to the island and the great pool area this doesn’t even matter when ur there and living on cocktails and Fiji Time! Would def go back to this resort they go above and beyond for you and you get sung to every night we were lucky enough to get the awesome men with the guitars sing to us on our 10th wedding anniversary, It made our night! 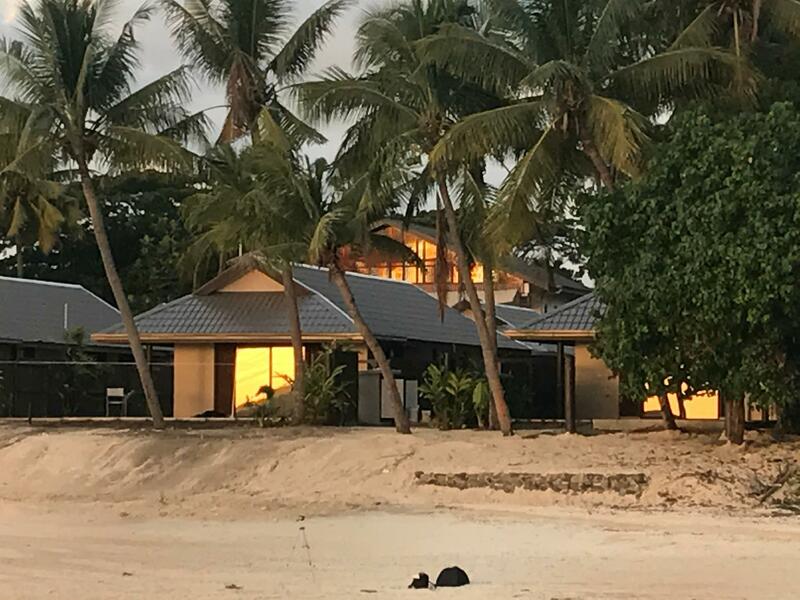 We stayed there only for 2 nights at the end of our trip in Fiji and we had a pretty bad experience overall. 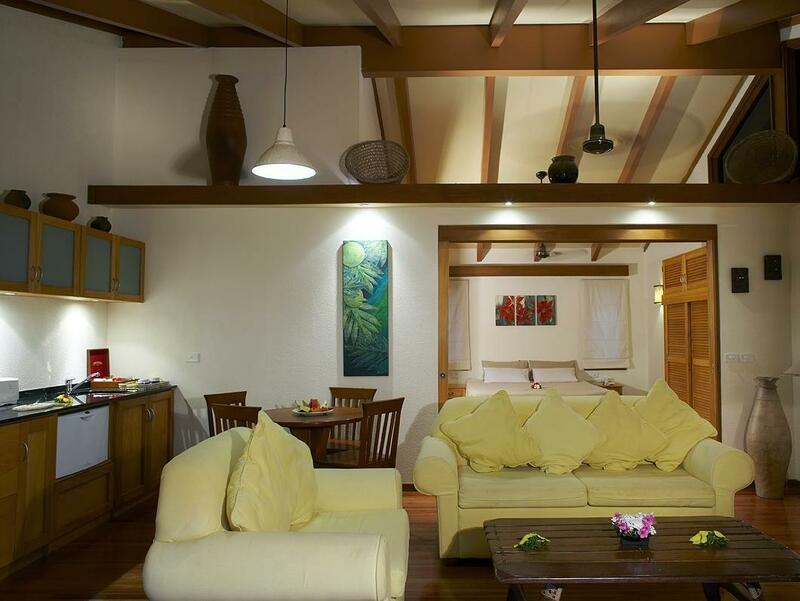 The resort itself is nice and the rooms are beautiful and clean but the location is pretty far from Nadi. Also, the staff for the restaurant are not trained at all. Once you order, you have to wait a very long time before being served (Fiji time maybe) and multiple times, the waiters came to us with different plates that weren't ours. On top of that, I ordered a fish & chips for diner, I received it and was horrified to find a large piece of deep fried plastic amongst the pieces of fish. I can only assume that they threw the packaging in the frier with the fish. We were also charged double for our room and were lied to about the origin of the charge. After departing the hotel, management stopped responding to our emails requesting a refund. It required multiple calls to finally get a response and refund. We would never come back and don't recommend. This is very good option if you need to stay inear Lautoka or Nadi airport area. Resort itself is really nice, it gives you a feel of an island stay. Beach is nice, but you need high tide if you want to swim. Food was good, with reasonable prices. I enjoyed my stay at this nice hotel. 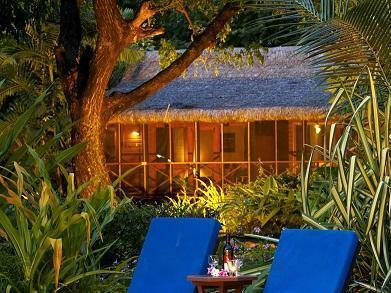 It's a very pleasant exotic setting with palm trees, bridges, nice bungalow accommodation, etc. A few things can be improved: the free wifi service ranges from extremely slow to non-existent. The connection being as poor as it is, it should at least be reserved only for the paying guests - as it is, many tourists just come in and use it slowing it down even further; during a busy dinner time my table companions and I waited for 1,5 hours to get our food with waiters being quite clueless as to how long it would take; there is a tiny beach and almost nowhere to swim in the sea, except for the 3-4 meters wide strip that is deep enough. There is a nice swimming pool, but it's never a substitute for the "real thing" experience. The so-called continental breakfast is rubbish: hardly any bread, no cold cuts whatsoever, no cheese, fruit selection consists of only two items: pineapple and watermelon. I had to order an omelet and it was good. 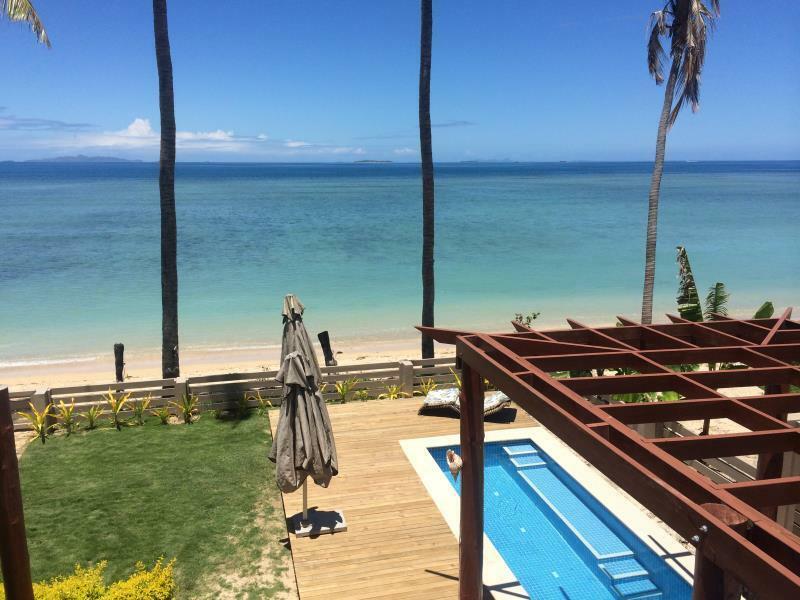 I wasn't sure about booking first landing resort fiji but after my stay I am so thrilled to have made the right decision. I plan to go back for another stay and it will surely be a lot longer with my family. 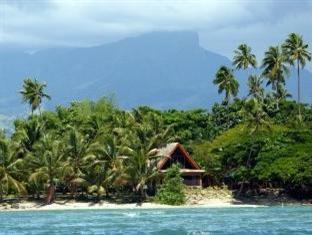 We booked First Landing Beach Resort as our night-flight arrived into Nadi in the early hours. We wanted to stay somewhere for a couple nights to recover from the flights but didn't want to stay in Denarau/Nadi. First Landing is away from the action but a close 15 minute taxi ride into Lautoka. The resort was surprisingly nice (we had concerns as we received quite a good rate) with a lovely pool and restaurant. There isn't too much else around it which makes for a relaxed and quiet stay. The Boatshed Restaurant at the Marina next door is definitely worth a visit. Excellent accommodation and staff were so friendly and helpful. Breakfast overlooking the sea every morning. A wonderful bar and resident bula band every evening. 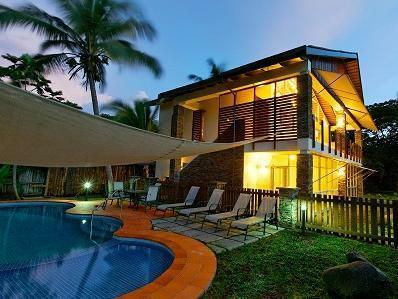 Great location close to Lautoka and Nadi. Vuda Pont Marina next door also handy. Stayed for 8 nights , old fashioned Fijian resort with friendly staff. Beautiful sunset on the beach . Need a taxi for going out, can walk to next door to the boat shed restaurant which is very good if you don't mind the heat during day ! Food at the resort is good enough with reasonable prices,happy hours at the bar.Continental breakfast which was included in the room was ok, xtra charge , $10? For cooked breakfast .the room I stay was garden bure , spacious , good bed, only things could improve is the air conditioner is powerful but noisy and the shower was a bit hard to adust hot water and low pressure but guess need to save water. The pool is nice , sometimes too many kids, but what can you do. I'm pretty happy staying there for the money I paid anyway. I chose First Landing Beach Resort for its close proximity to Sabeto Hot Springs and the airport. The Garden Bure was beautiful, spacious, clean and comfortable. Having checked in late, I requested a late check out which could only be accommodated if I paid extra, which was rather disappointing - especially as they made a room available to me later in the day to wash up before my flight home, which happened to be the same room I vacated earlier in the day. Whilst breakfast was included, if you wanted something cooked, again you had to pay extra. Sadly the Left Foot Island was under maintenance during my visit so I was unable to cross the bridge and check it out. Having enjoyed a couple of weeks at some very humble yet generous resorts, it was disappointing to arrive at a more affluent resort which seemed to 'charge extra' for everything. 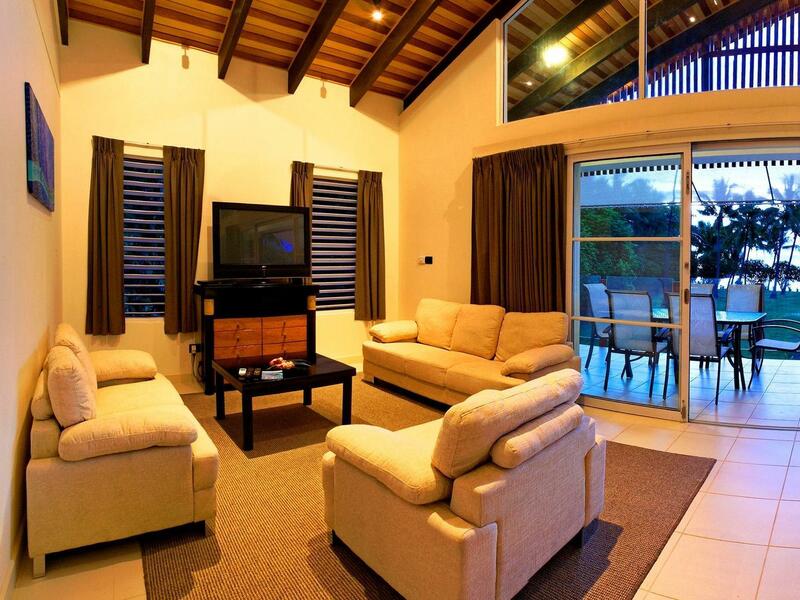 First Landing Beach Resort and Villas is a "low key" resort where you can just chill out. It doesn't have many of the activities that you get at other resorts (such as, parasailing, snorkelling, sailing, etc), but if you want to relax, read, swim in the pool, eat good food and have a few drinks then it's great. The staff are super friendly and helpful. It's about halfway between Nadi and Lautoka. In general, and staff was attempting to remember people by name. The bure was aged but has quite a bit of character. Even locals come here to have birthday party and wedding ceremony is a plus. Beach is also beautiful. Didn't try on-site activity due to weather. We stayed at 3 different resorts this trip. First Landing, Pinninsula in Suva and Tokatoka Nadi. This stay was most enjoyable. Thank you very much. During our stay we were able to connect with long lost family members, thanks to the friendly & helpful staff for playing a part in making this happen. Feel very Blessed.